A soldier to the core, Armorhide is frustrated by mission that don't go perfectly. 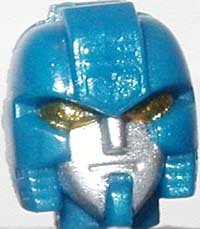 He often finds himself aggrivated during the search for the Planet Key on Earth. 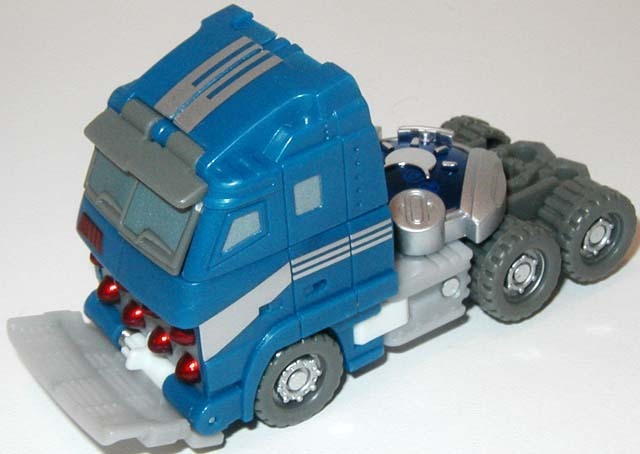 Still, he finds a kind of joy in the frequent battles with the Decepticon forces that seem to block him and the other Autobots at every turn. 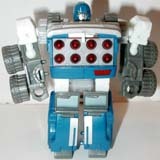 Tough, dedicated and fearless, Armorhide neither asks or gives any mercy in the ongoing battle with the evil Decepticons. 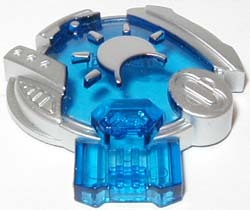 Additional Versions of Armorhide: There are no additional versions of Armorhide. 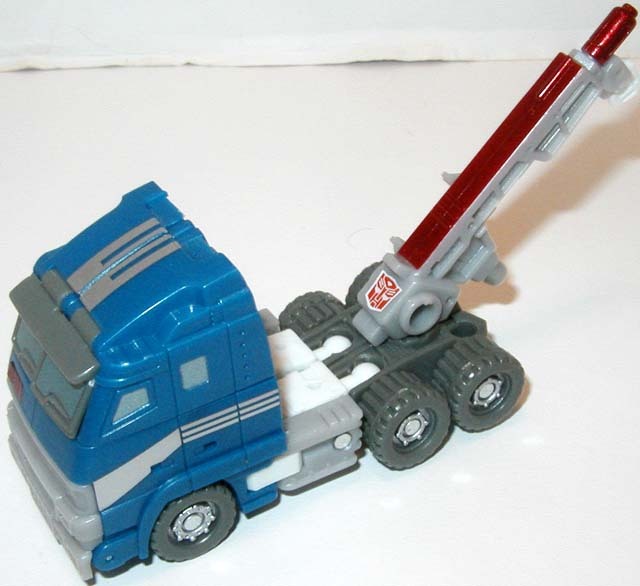 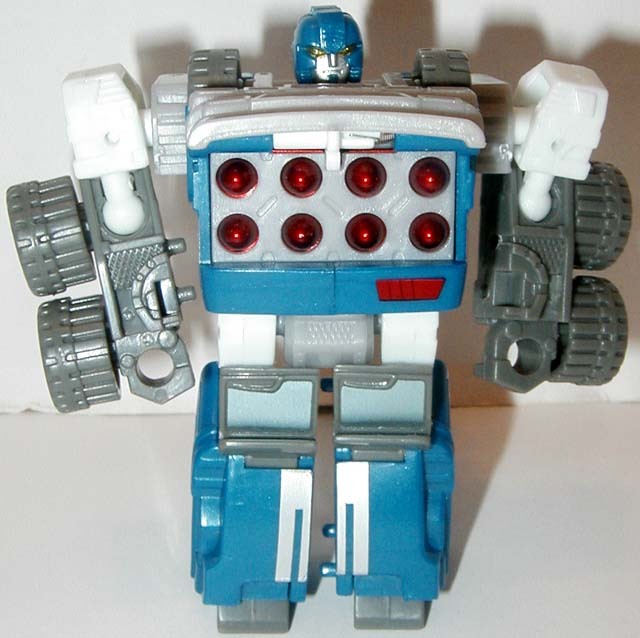 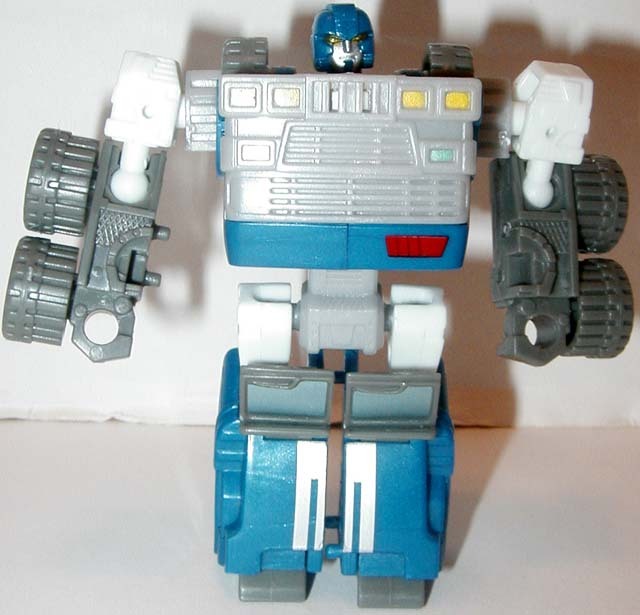 Recolors: This mold was recolored into Botcon 2007 Huffer (2007) and Movie Armorhide (2007). 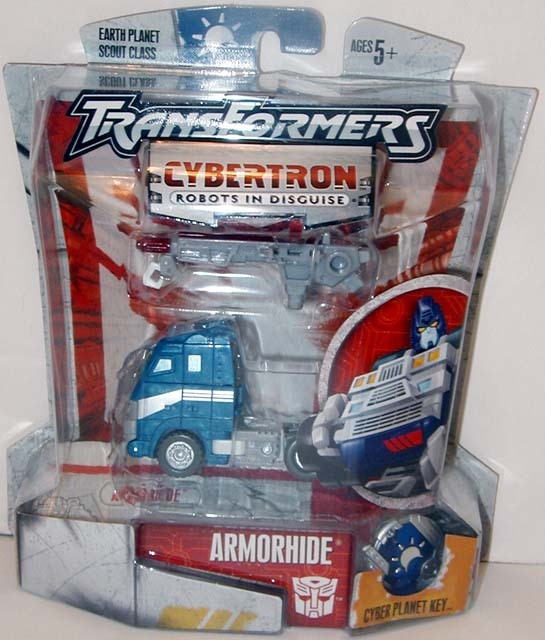 Name Reuses: The name Armorhide was reassigned from Robots In Disguise Armorhide (2001-2004), Mini-Con Armorhide (2003), and Movie Armorhide (2007-2010).